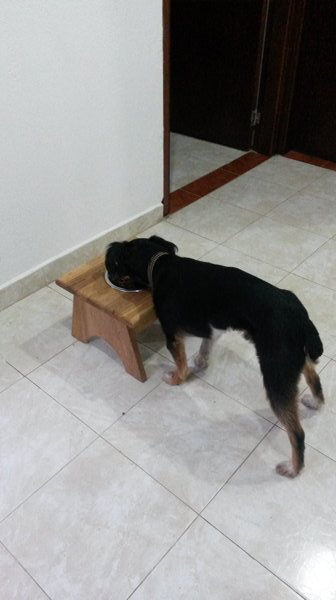 I decided to do a small project I have been putting off, and that was to make a 'dog table' for our second dog, he is a rescue dog, and struggles to eat because of a deformed jaw, due to abuse as a pup, as a result he ends up pushing his bowl all over the room, to try and get the food, it was time to put this right. Firstly I had to decide how high to make the table, the internet was no use at all, everyone has their own ideas as to how high it should be, so I decided that about two thirds his leg height would be comfortable for him, if not, I will have to make some adjustments. I had some laminated oak board, left over from another project, so decided to use that. 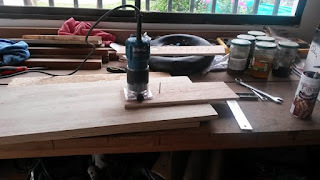 Now was the first time I would be using my circle cutting jig in anger, so I was interested to see how hard or easy it would be to use. 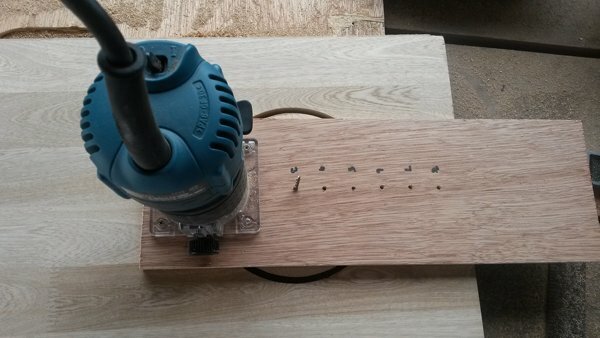 I set it up with my trim router. 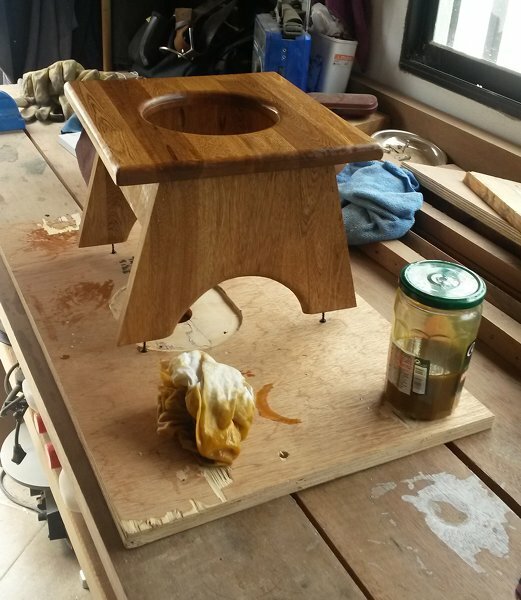 I decided to shape the supports, and then using my trim router freehand, rounded over all the exposed edges that the bowl and the dog would come into contact with. 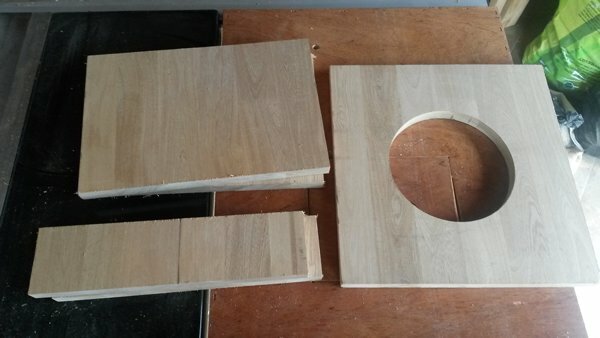 I also prepared the pocket holes to attach the legs to the top. That just left assembly and a few coats of varnish. The final say on whether this project was a success went down to the Customer! I think that is a thumbs up!